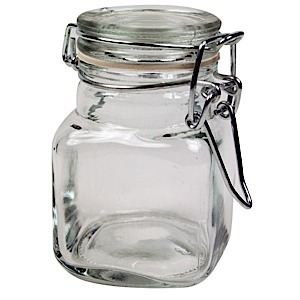 This clear jar is just the right container to keep your favorite fragrant potpourri,spices or bath beads. Also great for lining up all your spices on the kitchen counter. Use one of our Rub'N'Etch or Over'N'Over stencils to personalize or use as is. Etchable area is 1.5 x 1.5"